Inviting friends to Unibet will allow you to earn some decent cash. You can earn £60 pure cash for every friend you invite, meaning you can make up to £300 if you refer up to 5 friends, whoever you'd like! You only need to activate the Unibet Refer A Friend Program and send email invitations to your friends via Unibet. Your newly registered friends will also enjoy a great start-up bonus of £40! Click "Refer a Friend now"
Your friend will have to wager (subject to contribution weights - see here for weights) a minimum amount of £400 in Sports Bets (including Horse Racing) and/or £1000 in Casino/Games/Live Casino within 60 days after they have accepted the Refer a Friend bonus offer. Bets placed with Free Bets if won will not include the stake. To withdraw their refunded stake they would have to wager it 3x (e.g. if you receive a £10 bonus, you must wager £30 to fulfil the terms). Bets will count towards the total once they’ve been settled. (Only bets with odds of 2/5 (1.40) or higher count). Only bets settled within the bonus validity period will count. This offer applies to their first bet only. If they win their first bet the bonus has been used. If they place a system bet only the first settled column of £10 or higher will count towards the bonus. They’ll receive the bonus once they’ve opted in and made a deposit of at least £10. The Bonus will progress only after the bet has been settled (regardless if the bet wins or loses). They can’t withdraw their money or restricted balance until they’ve completed the bonus, they’ve cancelled it or it has expired. They can cancel the bonus by calling customer services. The bonus money and money they’ve won by betting the bonus money will be lost. The bonus will expire after 30 days after accepting the bonus offer. If they don’t complete the wagering in this time the bonus money and the winnings they’ve made by wagering the bonus money will be lost. They must be 18 years old or over and reside in the UK. Only one bonus per household is permitted. 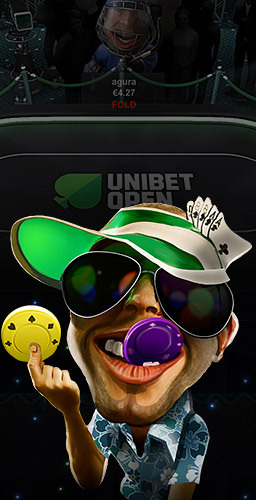 Unibet reserves the rights to amend or terminate the bonus at any time. Amendments to the bonus will not be made after you are opted in, unless there is sufficient evidence to show you are attempting to break the rules of the promotion.